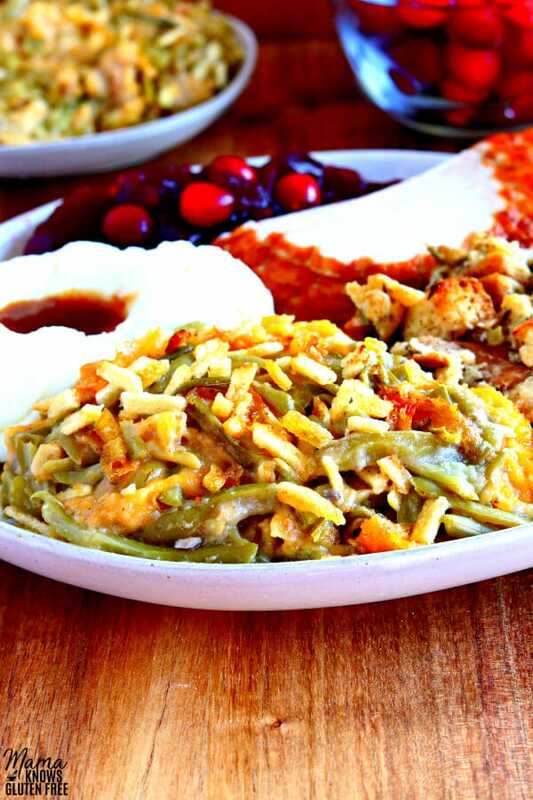 A new twist on everyone’s favorite green bean casserole. French style green beans, a creamy cheese sauce and topped with crunchy potato sticks. Recipe originally posted October 2017, photos and recipe updated October 2018. My favorite part of any holiday meal as a kid was my Mom’s green bean casserole. 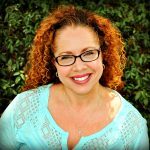 I never knew that my Mom’s recipe was different than the classic recipe because I’ve never had it any other way. 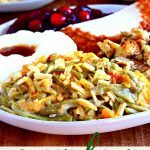 I was shocked to find out that most people don’t eat cheese in their green bean casserole, and that’s just not right! 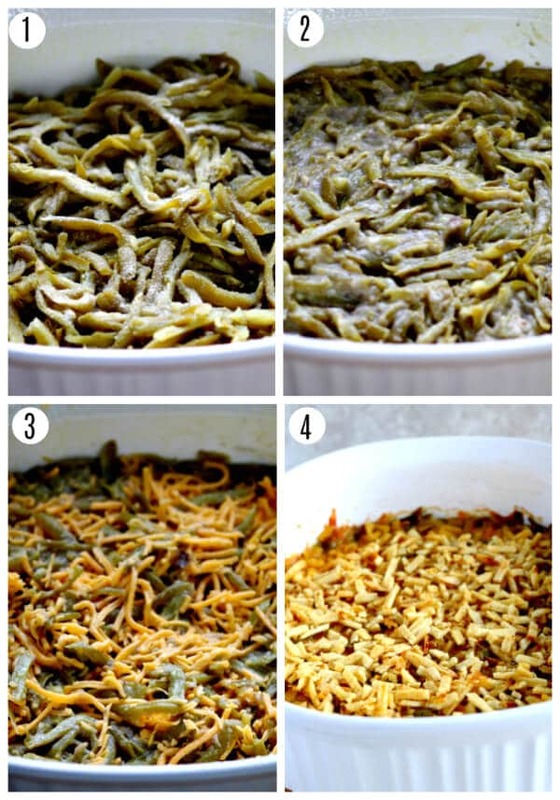 So I’m here to share with you the BEST green bean casserole recipe you’ll ever try. Because it is one of my favorite side dishes for the holidays, it was the first one I modified to be gluten-free. Over the years, I have used several brands of gluten-free cream of mushroom soups (Progresso, Pacific Organic). I have had to make adjustments to the recipe because some brands are very watery. It left my beloved casserole being too soupy (I still ate it anyway). Pacific Organic Cream of Mushroom Soup was one of the brands that I like and have used it for years. But this year I finally decided that I would make homemade cream of mushroom soup and it turned out AMAZING! 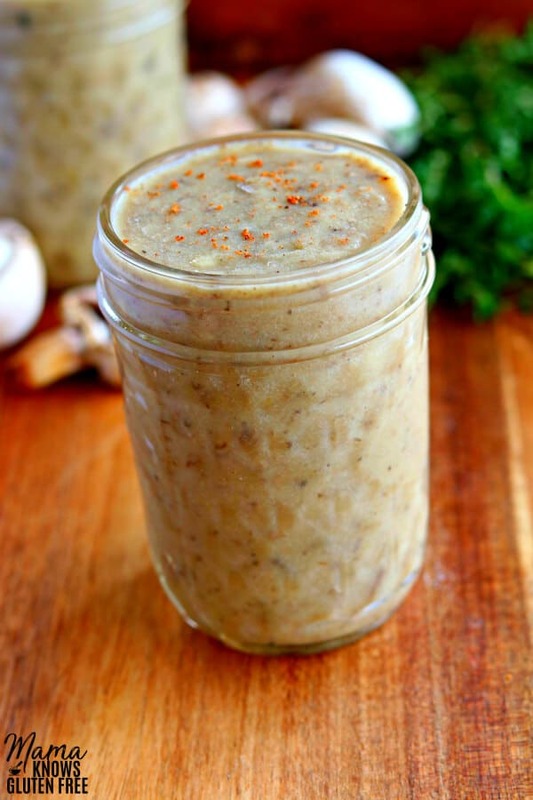 You are going to love how easy my recipe for Gluten-Free Cream of Mushroom Soup is. I even included a dairy-free option, because there are three of us that are dairy-free as well. Preheat your oven to 350 ° F. Spray the gluten-free cooking spray into a casserole dish (I like olive oil cooking spray). Store leftovers in an air-tight container and refrigerate. You can reheat the casserole in the microwave or oven. I have also included a dairy-free option to the recipe. My husband, my youngest son, and I are all dairy-free. The dairy-free green bean casserole was made with my homemade gluten-free and dairy-free cream of mushroom soup and Daiya Cheddar Style Shreds. Now, if I could only find gluten-free fried onions, my recipe would be just like my Moms. I always use gluten-free potato sticks instead because I really like a salty crunchy topping. I was so happy to finally have my green bean casserole taste just like my Mom’s. There’s nothing like finally getting to have one of your favorite recipes modified to gluten-free tasing just like you remember it. Am I Right?! 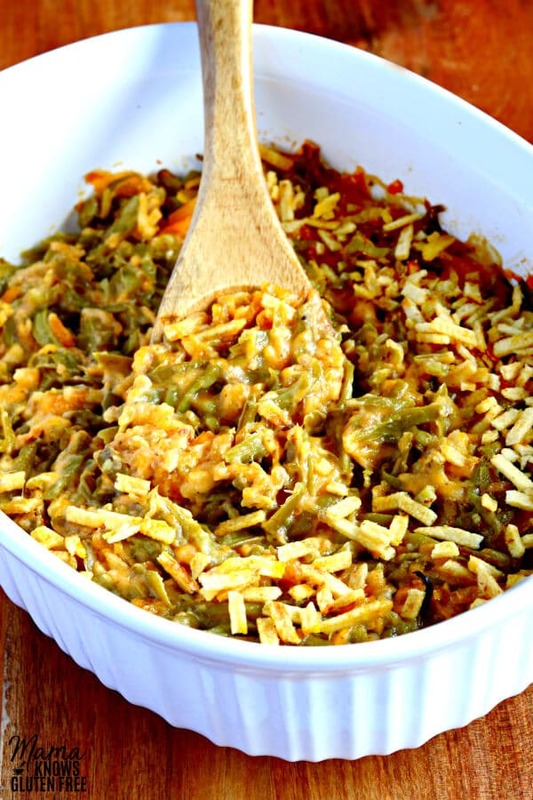 A new twist on everyone's favorite green bean casserole. French style green beans, a creamy cheese sauce and topped with crunchy potato sticks. Recipe with a dairy-free option. 1 cup gluten-free potato sticks broken into smaller pieces. Spray gluten-free cooking spray into a casserole dish. Drain french style green beans and pour into the casserole dish. Sprinkle the onion powder over green beans. Pour the cream of mushroom soup over green bean mixture and stir to combine. Add cheddar cheese and stir to combine. Bake on middle rack for 15 mins. After 15 minutes add potato sticks and bake for an additional 15-25 minutes or until sides are bubbly and potato sticks are golden brown. Enjoy! Store leftovers in an air-tight container in the refrigerator. Reheat leftovers in the microwave or oven. The dairy-free green bean casserole was made with my homemade gluten-free and dairy-free cream of mushroom soup and Daiya Cheddar Style Shreds. Mama says, "check all of your labels." Seasoned potato starch. They were pretty close. Hi Summer! I hope they enjoy the casserole. The homemade fried onions sound amazing! I am going to have to try that. Thank you so much for sharing. Hi Christina! I wish we had a Sprouts where I live so I could try them. I bet they are delicious. I hope you have a Happy Thanksgiving!